Application fraud represents one of the fastest growing business challenges to financial institutions (FIs) across multiple digital channels. By 2020, it is projected that US-based FIs will spend $1.4 billion dollars to fight checking account and credit card application fraud. So, what are you to do? How do you combat this aggressively growing fraud trend and spend? Join us for this complimentary BAI webinar featuring OneSpan and Aite Group analyst Shirley Inscoe for the latest application fraud techniques, and what actions can be taken to mitigate and detect multi-channel fraud to ensure better account opening and onboarding experiences. All registrants will receive a complimentary copy of the recently published Aite Group report, “Application Fraud: Fighting an Uphill Battle”. 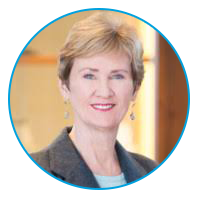 Shirley Inscoe is a senior analyst with Aite Group covering fraud, data security, and consumer compliance issues. Ms. Inscoe brings to Aite Group 30 years of banking experience in enterprise fraud and payments issues. She has served as the chair of the BITS Fraud Reduction Steering Committee and the co-chair of Early Warning Services’ Advisory Committee, and has been a member of ABA’s Deposit Account Fraud and Payment Systems Committees. 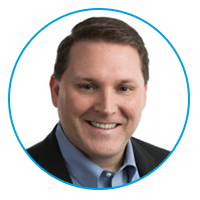 Tim Bedard is responsible for OneSpan’s Trusted Identity Platform security solutions for financial services. With more than twenty years of IT security experience, Tim has successfully launched multiple cloud-based security, compliance and identity and access management (IAM) offerings with responsibilities for strategic planning to go-to-market execution. Previously, he has held leadership positions in product strategy, product management and marketing at SailPoint Technologies, RSA Security and CA Technologies. Tim is active security evangelist at industry leading tradeshows and events.